Research from MPI shows that 63 percent of meeting planners are currently using mobile apps at events. In advance of his Smart Meetings webinar: Event Apps 101: 5 Things to Consider When Shopping for Event Apps, we spoke with Justin Gonzalez, marketing communications manager at DoubleDutch, about why he’s so passionate about the future of event apps, and what meeting planners and organizers should consider when evaluating apps for their events. In reference to the MPI stat about event app adoption, the research also shows that within the next 12–18 months, event app adoption will be close to, if not at, 100 percent. How is that number possible to achieve? As event apps continue to mature with new features that meet the needs of planners, they will quickly become an ubiquitous part of the event experience. The research also pointed out that, at the time of the survey, many planners viewed event apps as just another content delivery mechanism. In the past year, we’ve seen a dramatic change in the conversations we have with our clients where the mobile application is becoming an integral, strategic part of the event experience. In fact, just this morning a new study came out showing that 86 percent of U.S. planners will use mobile event apps by 2016. As planners shift their mentality around mobile apps from a nice-to-have to a need-to-have tool in their arsenal, reaching ubiquity won’t seem as far-fetched as it sounds. Why are adoption rates for event apps rising so fast? The need for a mobile experience at events is really just a reflection of our daily lives. Whether it’s using apps to measure how many steps we walk, stay in touch with friends, hail a cab, or even get a date, people are becoming more accustomed to using their smartphones in all aspects of their lives. It’s about using technology to make our lives easier. Arriving at an event is no different. 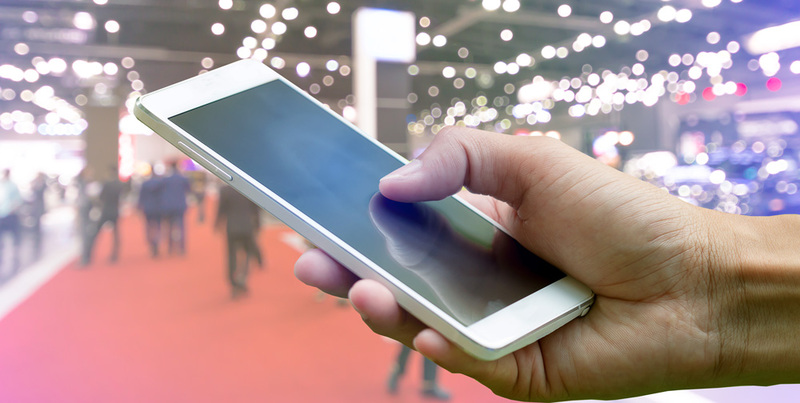 A mobile app can enhance the real-life experience for all event stakeholders (from attendees to exhibitors and organizers) in big ways. When planners have made the decision to use an app at their event, what’s the most important thing they need to consider? The starting point is to consider your mobile app as the house for all your event content—not to mention a closed social community. It hosts everything from the agenda to speaker bios and session information, to floor maps, lodging details and more. Imagine being able to eliminate your printed information entirely, and just using a smartphone to navigate your way through the event. From there, it’s a matter of mapping your mobile strategy to your event goals. Want to enhance networking and business opportunities for attendees and exhibitors? No problem. Want to create a fun and engaging experience? Easy. What else should a planner consider when evaluating an event app? We always recommend that planners give themselves enough lead time before an event (and before choosing an event app) to work out their mobile strategy in advance. We suggest that the process of creating a strategy for your mobile app should begin as much as six to eight weeks prior to the event. Your event app vendor should be capable of helping you craft a strategy if needed, but that should be part of your initial conversation with any vendor you’re considering to provide with your event app. How can attendees engage with an app without distracting from the overall event? One of the biggest concerns for event organizers is they want their attendees to be focused on the event content and not on their inbox, chatting and texting, or [being] distracted by a multitude of other things going on. The best mobile apps should enable attendees to check into event sections and allow them to comment on, like and interact with the content and other attendees—all from within the app itself. We strive to offer what we call “continuous engagement” that drives attendees toward the event content, creating a holistic brand experience.